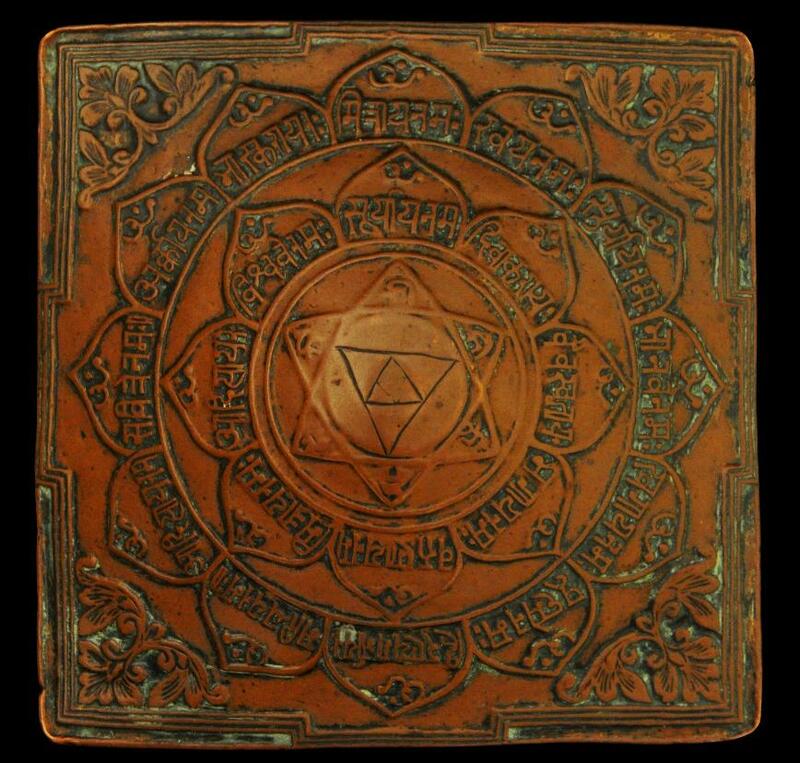 This slightly domed plaque cast in thick copper is cast with a sri yantra or visual representation of the goddess Devi. 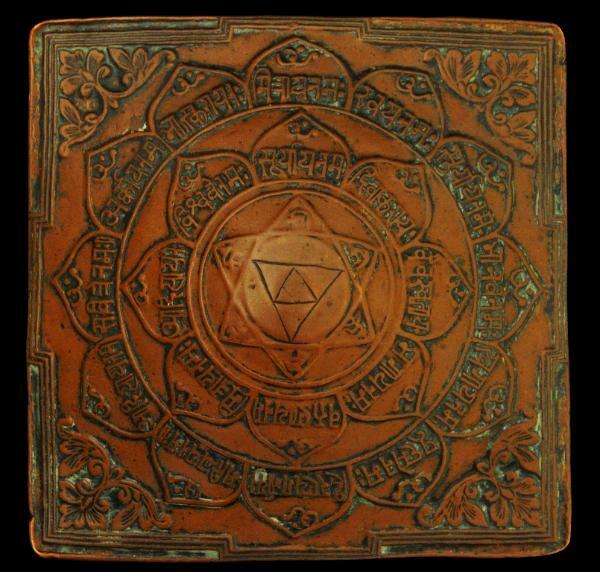 The sri yantra comprises two triangles within a six-pointed star within two concentric open lotus flowers, the petals of which are infilled with script. The leafy flourishes that have been cast into each corner are unusually fine. 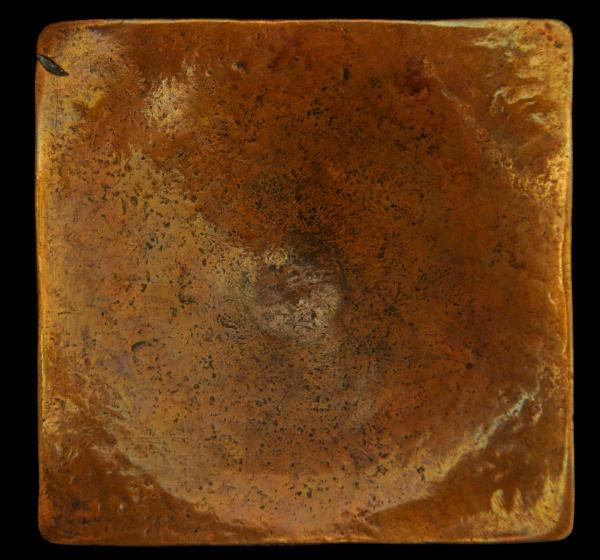 The plaque has a wonderful colour and patina. The edges, central star and underneath are all delightfully smooth from several centuries of ritual use. A plaque of similar form and similarly ascribed to 18th century Rajasthan is illustrated in Aryan, S., Unknown Masterpieces of Indian Folk and Tribal Art, KC Aryan’s Home of Folk Art, 2005, p. 148.